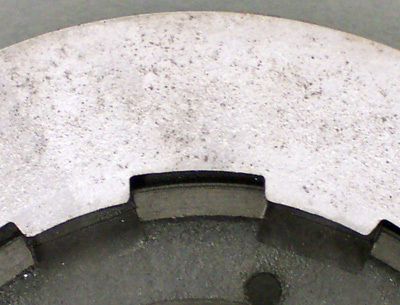 In 1931, the outer clutch disc was redesigned for the DLD model only, requiring the steel friction disc to be redesigned to match. The change was incorporated into all 45” twin models by mid-1932. 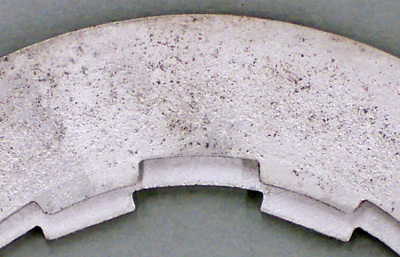 Steel friction disc #2535-29 is used on later 1929 to 1934 singles and later 1929 to early 1932 Standard 45" twins. Looking at the photo below we notice that the sides of the splines in the disc are parallel and the sides of the splineways converge toward the center of the disc. 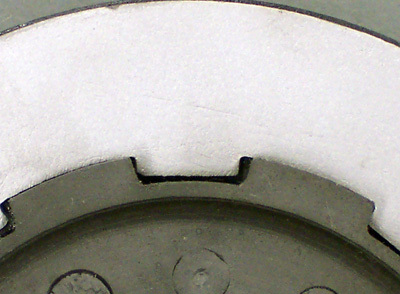 Steel friction disc #2535-31 is used on 1931 DLD, later 1932 to 1940 standard 45" twins and 1932 to 1934 C singles. Looking at the photos below we notice that the sides of the splines of the disc converge to a point near the center of the disc, and the sides of the splineways are parallel. When we compare the shape of the splines, the difference becomes apparent. 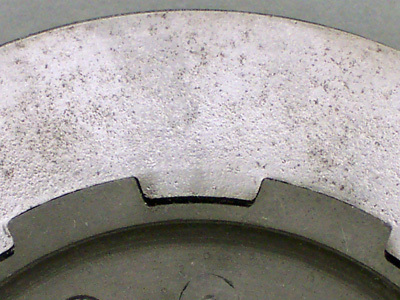 If we try to fit an early friction disc over a later outer disc, we find that there is too much play and the friction disc(s) will pound against the splines of the outer disc. 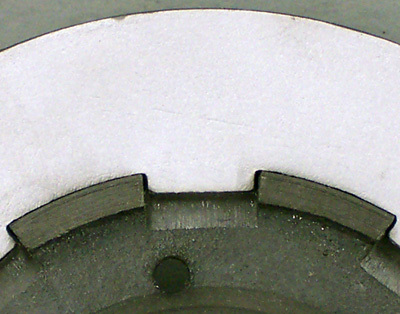 If we try to fit a later friction disc over an early outer disc, we discover that it just won’t fit.